Emergency personnel respond to a three vehicld accident at the intersection of Route 23 and Chicago Road in Waterman on Friday, September 23, 2016. 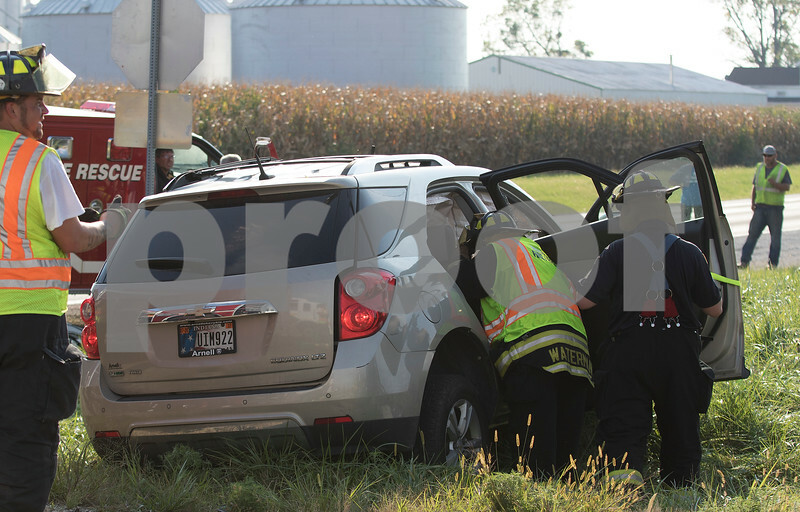 First responders tend to one of the four vehicles involved in an accident at the intersection of Hwy 23 and Chicago Road on Friday, September 23, 2016 in Waterman. At least one person was injured, being taken away by helicopter.